Denver Broncos CEO and Owner Pat Bowlen announced today that Wide Receiver and fan favorite Rod Smith will have his name and number hung from the Ring of Fame facade at Sports Authority Field at Mile High on Sunday September 23, 2012. The Induction ceremony will take place during halftime of the Week 3 contest against the Houston Texans. "Players like Rod don’t come through your door very often, but he came through ours every day with a purpose and hunger to be great," Bowlen said in a statement. "Rod’s production and numbers -- as outstanding as they were -- paled in comparison to his commitment to winning and the respect he commanded from each and every one of his teammates throughout his career. Emerging from an undrafted player to one of the best to ever play his position, Rod has truly earned his place among the greatest Broncos of all time. "I am thankful for everything Rod contributed to this franchise during his time with the Broncos, and I congratulate him on his well-deserved election to the Ring of Fame." 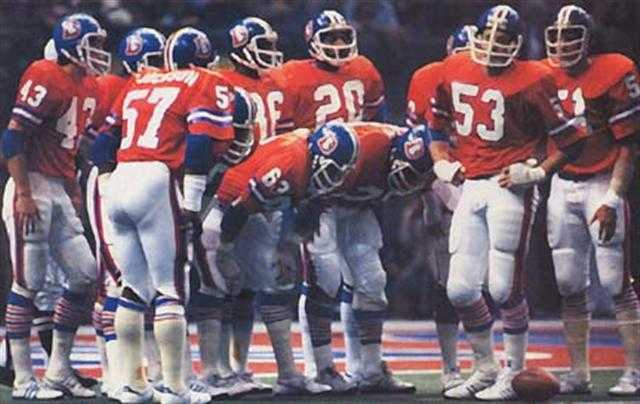 The Ring of Fame was created by Bowlen in 1984 to recognize former players and administrators that played significant roles in the franchise's history. Smith is the first former Bronco elected to the group since tight end Shannon Sharpe joined in 2009. He's the third receiver in the Ring of Fame, joining Lionel Taylor and Haven Moses. "You couldn’t ask for a better teammate than Rod Smith," Elway said in a statement. "His work ethic, the way he competed and the positive influence he had on others were all qualities that made him one of the best. What a great Bronco who is so deserving of being honored as a member of the Ring of Fame. "Although he had plenty of catches and touchdowns in his career, the only things that mattered to Rod were winning and competing for Super Bowls. That’s what was most important to him, and it showed in everything he did. Whether it was in the passing game or running game, you always knew Rod would give 100 percent on every play and do whatever it took to help his team win. "Rod brought his lunch pail to work each day, took nothing for granted and made himself into an elite player. He’s a true pro. In addition to being one of the greatest undrafted players of all time, he’s one of the greatest wide receivers to ever play the position. "I’m thrilled Rod has been elected to the Denver Broncos Ring of Fame, and I look forward to celebrating his induction this season." Smith went undrafted in 1994 and signed with the Denver Broncos. His first NFL catch came on a last-minute 43-yard Touchdown pass from John Elway in a 38-31 win against the Washington Redskins on September 17, 1995. 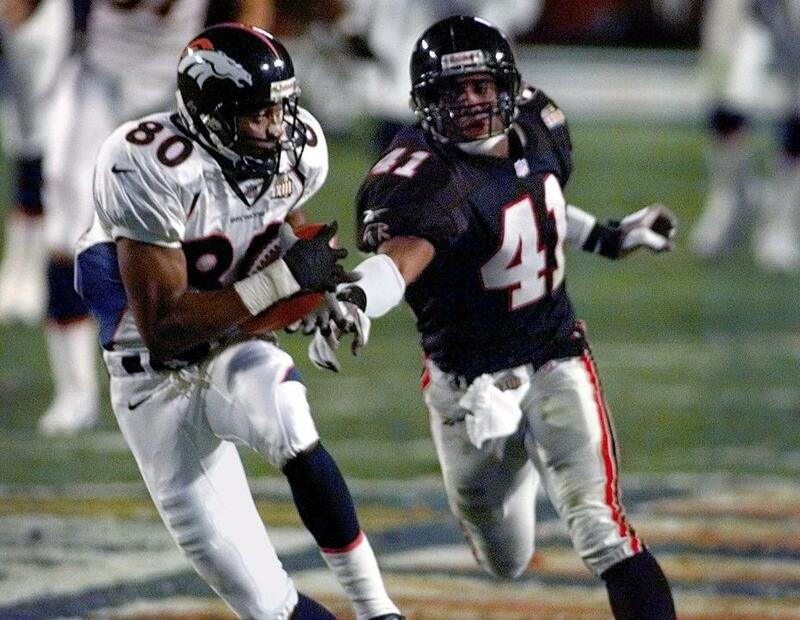 In his fourteen years as an NFL player, all with the Broncos, Smith had 8 seasons of at least 1,000 receiving yards. He had two seasons of at least 100 receptions (2000: 100; 2001: 113). Those 113 catches in 2001 led the league. 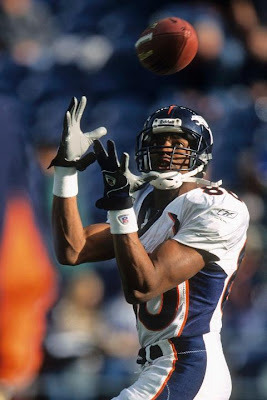 He was a starting wide receiver of the Broncos' back-to-back Super Bowl championships in 1997 and 1998. In the Broncos' 34-19 win in Super Bowl XXXIII, Smith had 5 receptions for 152 yards (the 4th highest total in Super Bowl history), including an 80-yard TD reception. He was a finalist for the Walter Payton Man of the Year Award in 2004. A hip injury that he suffered in 2006 required a complete hip replacement and Rod announced his formal retirement from professional football on July 24, 2008. "The Broncos fans are special to me, and I appreciate all you guys really supporting me. I love when I see little kids running around the mall and they have on a No. 80 jersey --- It just makes me smile. They don't know how much that means to me. I'm letting you know, if I don't come up to you personally, I appreciate you, every single one of you." "Fate put me (in Denver) and I'm glad." First and only undrafted player to reach the milestone of 10,000 receiving yards, and the 24th in history to eclipse that figure. The most catches (849), receiving yards (11,389) and touchdown receptions (68) of any undrafted wide receiver in NFL history. Holds Denver Broncos franchise records in career receptions (849), receiving yards (11,389) and touchdown catches (68). Ranks 1st on Denver's all-time yards from scrimmage list (11,737). Only the sixth player in NFL history to have 100 receptions against at least three teams (Kansas City Chiefs, San Diego Chargers and Oakland Raiders). Associated Press 2nd-team All-Pro (2000, 2001). Football Digest 1st-team All-Pro (2000, 2001). USA Today 1st-team All-Pro (2000). College and Pro Newsweekly 1st-team All-Pro (2000). It is appropriate that Smith’s induction comes against the Texans. He has some friends on Houston’s staff, including their head coach Gary Kubiak, who played for the Broncos from 1983-91 and then was the Broncos Offensive Coordinator from 1995-2006. Texans Offensive Coordinator Rick Dennison played Linebacker from 1982-90 and coached in Denver from 1995-2009. Wade Phillips (who was the head coach during Rod’s rookie year) coached the Broncos from 1989-94. Assistant O-Line coach Jim Ryan played Linebacker for the Broncos from 1979-88 and coached from 2004-08. Quarterbacks coach Karl Dorrell coached from 2000-02 and Strength and Conditioning coach Cedric Smith from 2001-06. "I’m not surprised. Of all my time in Denver, obviously we had some great players through those championship years, but no greater example of what it is to be a pro and be a great leader and a great Bronco than Rod Smith, in the community and on the field. He was a free agent who made his way up through football the hard way and then became a great player. I still recall that big play he made in the Super Bowl against Atlanta, but he made many of those. For me as a coach, he was always the guy in the meeting room that held things together. I can’t tell you how many times I would get upset or something and he would walk over to me and tap on the shoulder and say, ‘I got him,’ or, ‘I got it,’ like, ‘I’ll go take care of that; you don’t worry about it.’ Great man, great person, great football player. Very happy for him, and I guess that’ll be exciting to see when we go down there. Rod was an unselfish player. Did a lot of dirty work for our football team, kind of like Kevin Walter does for the Houston Texans, as a blocker and those types of things. Here’s a guy who went from a free agent to a leader of a World Championship football team, and you can’t say much more than that. He’s a prototype football player. That’s what you’re looking for. A lot of guys have talent. There are guys that can run 4.4 and there’s guys that can run 4.6 and play like they’re 4.4, and that’s what Rod was. He played faster – he played better – than everything said he was supposed to play. He was very smart, had it all under control and did it all in one place for many years. That doesn’t happen very often nowadays, so hats off to him." Smith had a stellar collegiate career at Missouri Southern. He finished his college days with league records in career receiving yards (3,043) and Touchdowns (34). Rod also broke the school's catch record (153), along with being named by several groups as a 1st-Team All-American in his senior year. In his final campaign, Smith caught 63 passes for 986 yards and 13 Touchdowns. He was named the school's Outstanding Graduate in 1994, after completing his collegiate schooling with degrees in economics and finance, general business, as well as marketing and management. Those diplomas have made Rod a successful businessman after his retirement from the Broncos. He is currently a coffee merchant and owns several investment properties. 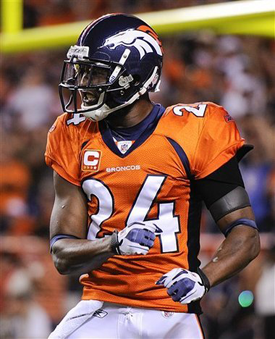 This honor by the Denver Broncos could not happen to a more deserving man in my opinion. 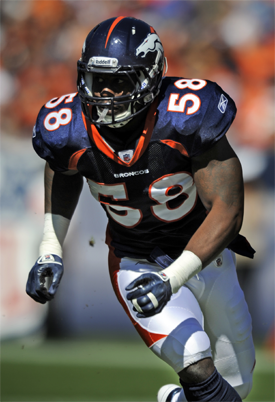 Rod Smith has been the underdog who is living proof that hard work and dedication can and will create success. He is a class act and as humble a man as you could meet. With two Super Bowl Rings, three Pro Bowl appearances (2000, 2001, 2005), and a controversy-free career noted for professionalism, Smith left the Denver Broncos as one of the most well-loved Broncos players of all time. "It’s a huge deal," Smith said of the honor on a conference call. "I got a chance to speak to Mr. Bowlen today and just really thanked him for allowing me and my family to be a part of his family. He really allowed me a chance to work for the best organization in all of pro sports." Smith thanked every player he ever played with, along with a slew of former coaches who he credited with helping him achieve success in the NFL. Throughout the day, he estimated that he received 50 text messages from those people congratulating him on the news. "A lot of people are excited, and I’m excited as well," he said. "It’s a testament to where you came from. There are a lot of people that shared that honor with me, not only the people I grew up with from my immediate family, but every guy I ever played high school football with or through college and on and on and on. It’s a huge deal." It an honor that Smith says means even more to him because of all the other people that share in it as well. "I’ve always dreamed of that and wanted to have my name next to those guys up there who meant a lot to not just that organization but to the community as well," Smith said. "It’s one of those things where the whole entire community gets a reward. They just pick one person to accept it. I’m just glad that I’m the person that they picked." One coach that Smith singled out as a major influencer on his career was his wide receiver coach, Mike Heimerdinger. "Oh man, (he was) everything," Smith said. "If it wasn’t for Mike Heimerdinger, I can promise you we wouldn’t be on the phone right now because he saw more in me than I saw in me at the time. Sometimes that is all you need, for somebody to believe in you more than you even believe in yourself. What I did was borrow his belief in me. He told me I had the talent and had the skills. He spoke those things every single day and then I went out there and I had to go to work for them. … Mike, I’m telling you – to the day I die, he always is going to be a huge part of my family." Smith, who rose from an undrafted free agent to the all-time leading receiver in Broncos history, was known for his unyielding work ethic. He said that because of the way his career began as an undrafted free agent out of a Division-II school, he always had the mindset that he’d have to outwork other players for his spot on the roster. "I embraced the path and I didn’t worry about the path," Smith said. "I knew where I wanted to go and I knew I was going to outwork everyone else. When they were gone, I was still working. When they were asleep, I was still working. I tell people that all the time, work works. I wanted to be the best teammate I could be. I knew if I was better, it made our team better. "You have to clock in and sometimes you don’t clock out,” he continued. “In the NFL, I never clocked out. Once I got in, I didn’t clock out. The day I clocked out was the day I retired. … You want to wake up when you want to wake up. Don’t let them wake you up. That was just kind of my approach." "My Drive. The hard part wasn't making it in the NFL, it was staying in the NFL. I outworked everyone to keep my job. When they were sleeping, I was working. I did that each and every day." "All I cared about were the Wins. I'm proud of what I accomplished, but the "W's" were all that really mattered." 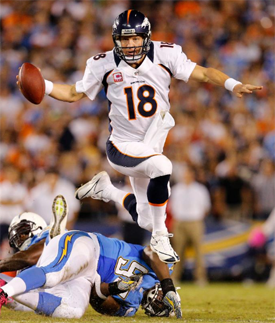 KK from MHR: Speaking of "topping," how are you going to top Shannon Sharpe's skydiving stunt on his Induction day? "I ain't gonna do anything stupid like that. I'm not going to jump off anything higher than 3 or 4 feet." I don't know, I haven't thought about that. It'll have to be something special. Mr. Bowlen is paying for it, but I'll tell you right know, I am definitely not jumping out of an airplane. I'm putting that word out right now. Maybe a long fancy car or something. I'm sure it'll be something nice." "I don't get a vote, otherwise I'd vote for me. What do you base it on, catches? I got those. Yards? I got those too. Touchdowns? I mean, why not? My numbers are better than a lot of guts in there." "I blocked for some Running Backs that gained a lot of yards. That is something I'm real proud of. Me and [Ed] McCaffery were real good blockers. It's all about the team." Andrew Mason (Max Broncos) asked the final question. AM: Tell us about your very first catch, that 43-yard Touchdown in the last minute of the Week 3 contest against the Washington Redskins to win the game? "Ah man, I was playing Special Teams and I stunk. Redskins Strong Safety James Washington had knocked our other Wide Receivers out of the game. We only carried 4 receivers active for the game, so I had to play. I just did what I had to do to put myself in a position to make a play and do the best I could to help my team win. I told my coach that I was terrible all game. I'm just glad we won. Later on I got a call from James. He told me if it wasn't for him, I'd would never have had the career I had. (Chuckles)"
A Mile High Salute to Rod Smith, the 23rd member of the Denver Broncos Ring of Fame. 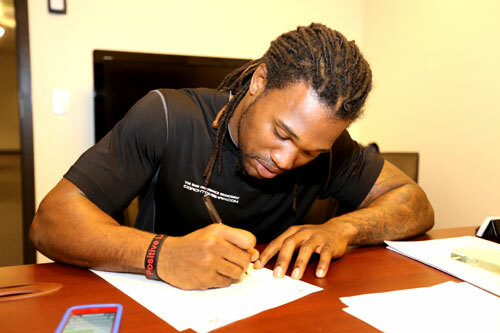 The Broncos have announced that they signed 4th round pick, CB Omar Bolden to a 4 year contract. Bolden is the first of the Broncos draftees to sign a contract. Bolden the 101st selection in Aprils NFL Draft totaled 138 tackles, 5 tackles for a loss, 21 pass break ups, and 7 interceptions during his career at Arizona State. Bolden also contributed on special teams with 523 return yards, and 2 total Touchdowns. Bolden missed all of the 2011 season due to a ACL injury that he suffered, but he figures to compete for playing time at Corner with Chris Harris, Tracy Porter, and recently signed Drayton Florence. "This is all exciting for me," Bolden said during the club’s rookie minicamp. "I really love this game. Just to have the opportunity to be out here and play in the NFL and for the Broncos, it’s an amazing opportunity." Another busy day of Bronco news in the books ~ Aussie. 2 very good things. Rod is very deserving of the Ring of Fame. 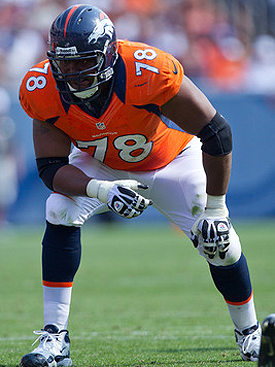 Broncos signed fifth-round DL Malik Jackson to a four-year contract. Viewed as a "tweener" because he goes 6-foot-6, 284 and isn't necessarily a tackle or end, Jackson should find a home in defensive tackle-needy Denver. He rushes with a relentless motor, and has extensive run-stopping experience after playing out of position at "zero technique" nose tackle at Tennessee. Yes he is, and in 2013 hopefully he makes it into the HoF. Another one signed, that is great. Jackson should fit in nicely. Another Rod Smith vid that has to be watched. Kupe is a stud. The way he toughed it out when he was carted off made me proud.